Rivers are the major stream sources at Corbett national park and Water is a crucial factor. The Ramganga river tribuataries, Palain, Mandal and Sonanadi serve as the key hydrological resource for the park. The most significant hydrological resource is Ramganga, Sonanadi, Mandal, Palain and Kosi are the major rivers flowing through the Jim Corbett National Park. Ramganga river is essential for Corbett national park. This river which is a tributary of the mighty Ganges, and popular amongst anglers for the mighty mahseer-the fighting fish. It is the largest and the eternal sources of water in the Park. The Ramganga traverses more than 100 km before entering Corbett close to Marchula. Inside the Park it flows roughly 40 km till Kalagarh where it enters the plains. In Ramganga there is much kind of birds, like kingfishers, fish-eagles, terns and storks depend on the Ramganga. During winters the Ramganga reservoir attracts lots of wandering bird species, particularly water birds from Europe and Central Asia. The Kosi is a perpetual river like the Ramganga is colonized by mahseer and attracts migratory birds. The Kosi flows from Mohan through Dhikuli till Ramnagar, forms the eastern frontier of Jim Corbett National Park. The river Kosi runs proximate to the Park and is also a significant water resource for nearby areas. Kosi is notorious for its unpredictable and damaging torrents during monsoon. Even though the Kosi does not enter the Park boundary, wild animals from Corbett use it for drinking particularly during pinch periods.Kosi is notorious for its unpredictable and damaging torrents during monsoon. Like Ramganga, the Kosi is inhabited by mahseer and attracts migratory birds. The Sonanadi is an essential stream of the Ramganga, an important part of the Corbett Tiger Reserve. The Sonanadi enters the Park from the northwest direction and meets the Ramganga at the reservoir. The name Sonanadi means river of gold. At one time grains of gold, found in the alluvial deposits washed down from the elevated areas, were extracted from the bed sand by sieving, washing and mercury treatment. The Mandal flows for 32 km and joins the Ramganga at Domunda a little distance above Gairal and fraction of the northeastern boundary, During the dry season, the Mandal contains very little water but during the monsoons it turns into a furious torrent. The Palain is the third essential tributary of the Ramganga and enters the Park from a northern direction. It meets the Ramganga about 3 km north of the Ramganga reservoir. The finest time to visit the Jim Corbett National Park is from early October to mid December and then again from mid of February for the next four months. 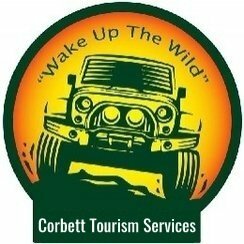 The Corbett Wild is located on the pool of river Kosi & Angling Camp on the bank of river Ramganga.